A Simple Lesson plan goes a long way to ensuring that you stick to the curriculum you have to offer to your students. It is important that all the concerned topics get covered in the given time frame. Thus, a well-planned lesson plan with day wise distribution to different kind of topics to be covered and conclusions to be reached after that particular class. A lesson plan should never be too complicated. You can now download from our collection of Blank Lesson Plans in pdf format and keep an eye on the proceedings as they happen. Consistency will always be the key. 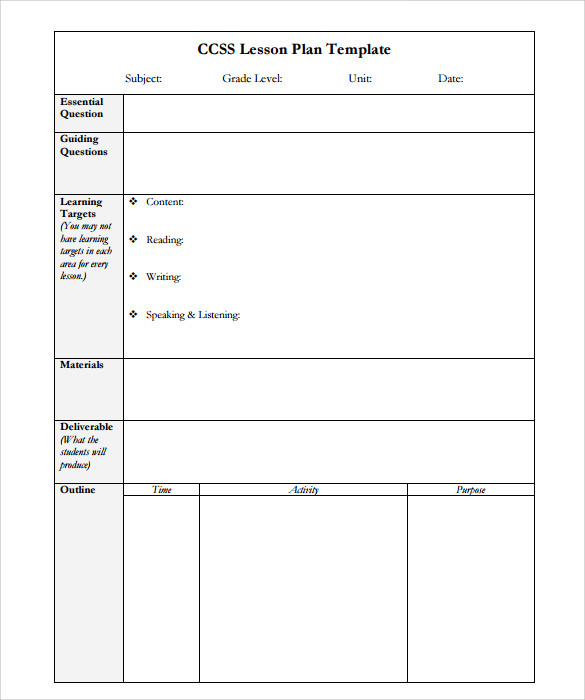 This template is for the teachers to make the lesson plans for each session of class. 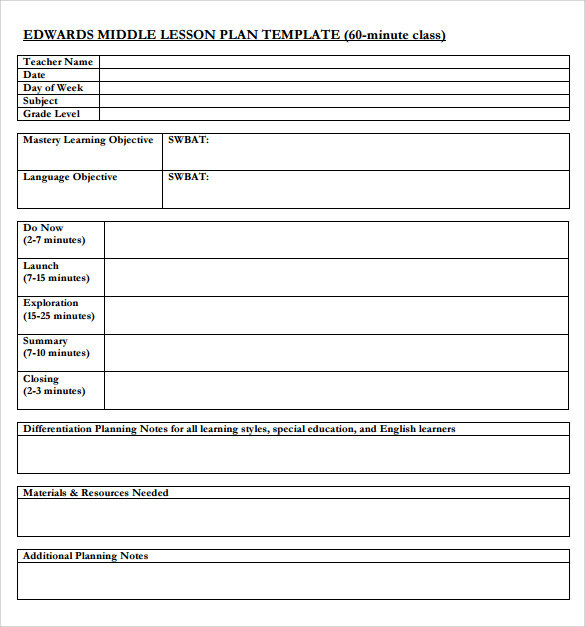 If you are required to schedule a lesson of 50 or 60 minutes, then you can follow this template. The lessons are divided according to the time schedules so that the students get to know when they need to submit the whole project. 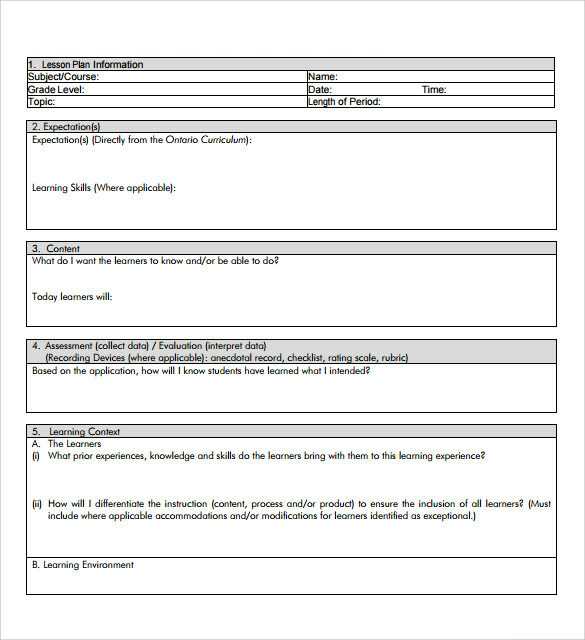 The above-mentioned template gives you a format that is not only easy for the teacher to follow but also for the students to understand what they are supposed to do and submit. This is one of the most convenient simple lesson plan templates being mostly used by the teachers. This template has a very easy and quickly understandable format. The template given here helps you to plan the lessons according to the syllabus of the students and the time remaining. The day to day rows and cells are useful to define each day’s work properly and neatly. 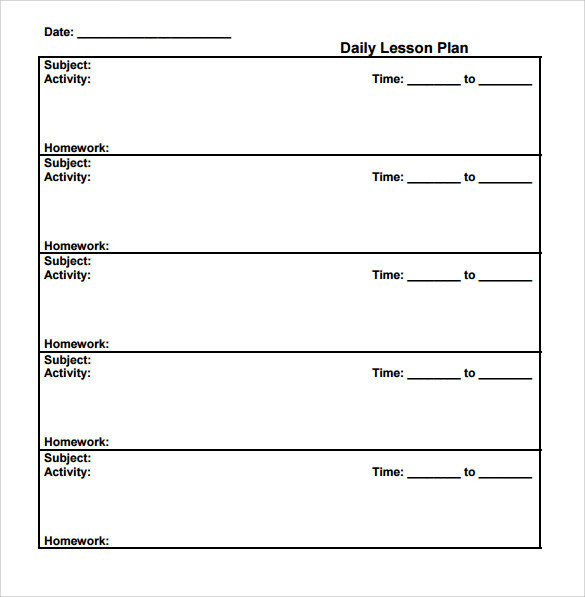 When Do You Need Simple Lesson Plan Templates? If you are into the profession of teaching, and you need to get the right way to plan your lessons for each day, then you are surely in need of well-designed lesson plan structures. The templates are made by the experts who understand the needs of a teacher. The templates are all formatted with the essential points and details. Some of them are of column structures, and some of them have row formats. They seem really simple and worth trying out to make a good lesson plan. You may like Unit Lesson Plans. There are a lot of benefits and usage of the given templates. They come to you in the printable and downloadable format so that you can get the advantage in every form. Whenever you are need of making a lesson or routine or schedule for your projects to teach, the templates will be a great helping hand. These are very handy and follow such a simple structure that anyone can deduct the gist. The formats are done keeping the convenience of the students in mind. You can also see Art Lesson Plans. 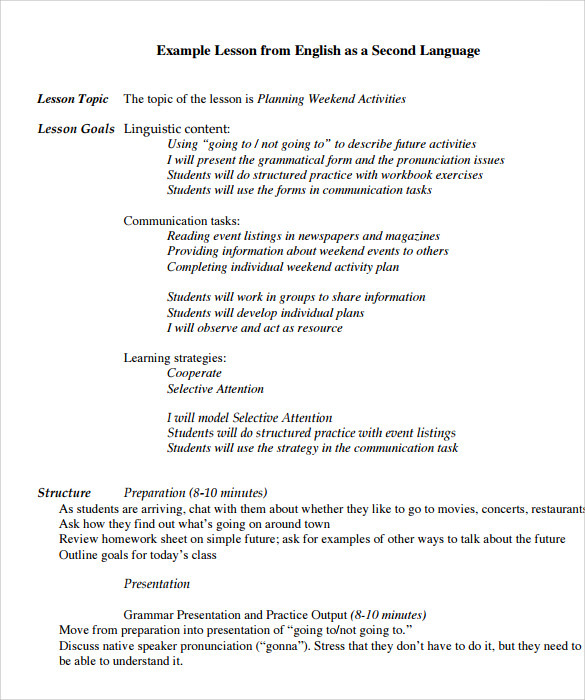 Mainly the school students and the college students are the target audience of the lesson plan sheet. It can also be given by the teachers of various institutes. So, basically, students are to follow the lesson plans. Occasionally the guardians can be the viewer too if the teacher intends to send the plan sheets to the concerned students’ houses. The simple and easy structure of the lesson plans are so understandable that whoever looks at it, whether the teachers, the students or their parents, everyone will understand the meaning of it. 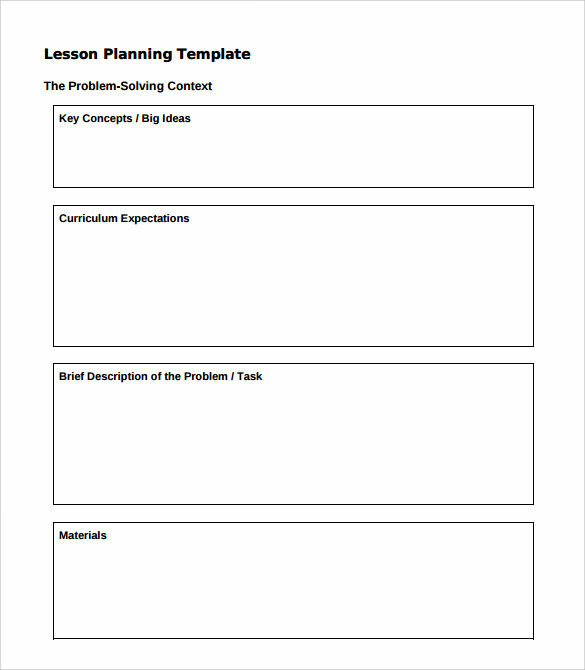 You can take help of these templates to ensure that you make a lesson according to needs of the students. 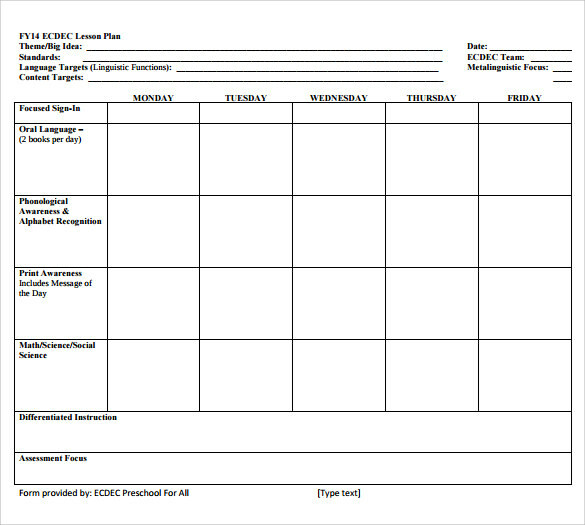 You have to offer a planned sheet to the students that can cover up the entire topic that they need to finish within a certain time frame. So, without waiting, get the templates downloaded and start working on the curriculum.